When we’re young and healthy we tend to take our mobility for granted, free to move wherever and however we like. The only exception to this is if one picks up an injury that prevents you from doing something you enjoy – a neck pain that prevents from playing sport temporarily, for example. All of a sudden you realise how even the smallest physical impairment can have a major impact on a life, which all too easily, can become defined by what you can’t do rather than what you still can. Such was the lot of many the elderly for most of human history, with the caveat that there is no chance of recovery or improvement. Many common conditions, such as a stroke, can leave them unable to climb the stairs and get around their own home. Living a normal life becomes an impossibility. Fortunately all is not lost. As life expectations have increased, many people have also kept their good health further and further into old age, and entrepreneurs and technologists have created a number of innovations that have profoundly reshaped the limitations of old age for the better. Often referred to in mocking terms, the humble Zimmer frame is a superb way for senior citizens to get around on their own two feet without the risk of a dangerous fall. The great thing about a Zimmer frame is that it means the user continues to employ all kinds of muscle groups during day to day life, which will reap benefits for those occasions when the device is not in use. Mobility scooters are now a common sight on Britain’s streets and in its parks, for the simple reason that they can revolutionise the life of their user. 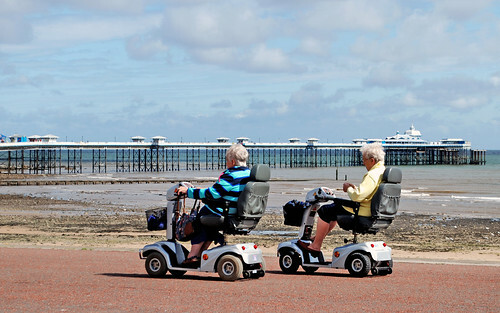 Wheelchairs are an important mobility device, but they require either someone to push or a degree of muscle power that the elderly might not have. A scooter though, means that people who might otherwise be housebound for much of the time can get out into their local community and engage with others. There’s no risk of getting tired or falling, and a there are variety of funky designs available. 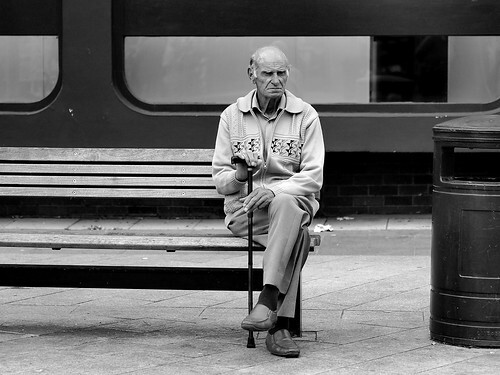 As we age, some of the greatest dangers can come from the humdrum and commonplace. 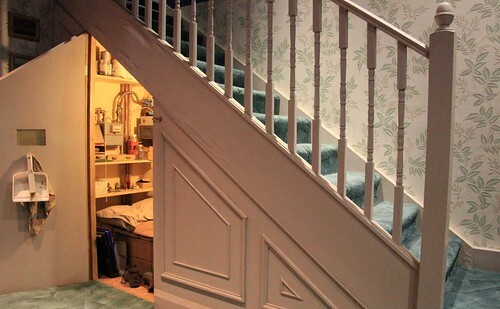 The stairs are one such example. Whilst the young often take a noisy tumble down the stairs, they usually emerge from it unscathed. For older folks, by contrast, even a minor fall can be devastating. It’s not just a question of balance and physical fitness, though. Exerting oneself to climb a steep set of stairs can lead to a dizzy spell in the wrong place at the wrong time and other illnesses like arthritis or suffering the aforementioned stroke can make it a challenge too far. Stairlifts for the elderly are therefore a literal lifesaver, removing all elements of risk and enabling a retiree to stay in the well-loved comforts of their own home. One of the wonderful things about mobility aids is their ability to protect the dignity and self esteem of people who have been self sufficient all their lives and who have no wish to become dependent on someone else in their autumn years. The walk-in bath is perhaps the most salient example of this, ensuring as it does that an elderly person is able to perform the most private of acts on their own. For many, a standard bath might be too low or cause them hip or back pain, whilst standing for a shower is tiring. A walk-in bath is therefore the perfect solution. By using these widely available mobility devices, the elderly are now able to maintain dignified, independent lives in their own homes in a way that their predecessors would never have dreamed of. Guest post by Acorn Stairlifts, purveyors of high quality stairlifts for the elderly suitable for a variety of environments, shapes and sizes. Visit our site for stairlift prices and information.